A great game to involve 15 children at once. 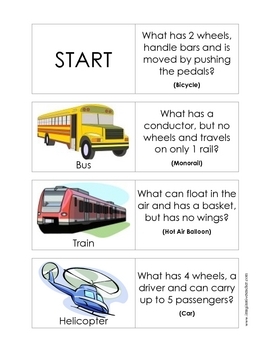 The student with the picture of the correct mode of transport on the left hand side of their card matching the description says "I have the bus/car/train' etc. 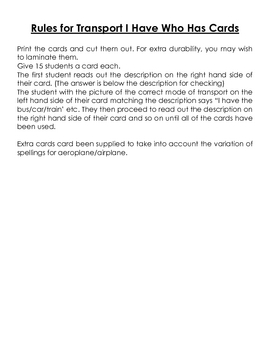 They then proceed to read out the description on the right hand side of their card and so on until all of the cards have been used. 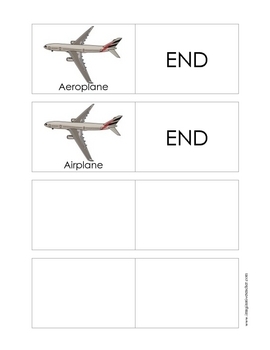 Extra cards card been supplied to take into account the variation of spellings for aeroplane/airplane.